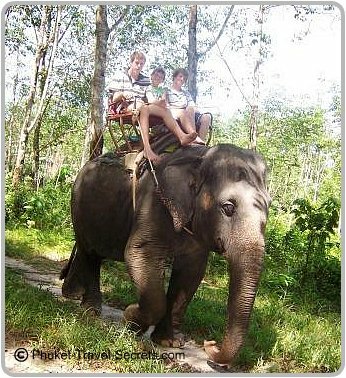 Elephant Trekking in Phuket, is an unforgettable experienced that shouldn't be missed during your holiday. The kids will really enjoy this, especially if they are lucky enough to get to ride on the elephants neck. Elephants were once a vital part of life in Thailand and were an important part of the logging industry. Logging has since been banned in Thailand and since then the only need for these elephants has been within the tourism industry. The elephants that were once used for the logging industry in Thailand are now being used for elephant trekking in Phuket and across other parts of Thailand. Unfortunately there are elephant camps that do not treat their elephants very well, but not all. Some elephants don't receive the proper care or enough food that they require and they are sometimes mistreated. Tourism provides one of the few ways elephants and their handlers can make a living. 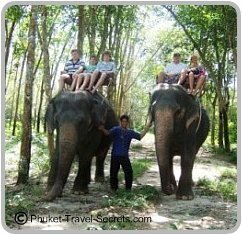 So when you choose to go elephant trekking ensure that you choose a reputable elephant camp to visit in Phuket. Personally we haven't come across any elephant camps that we could say have been mistreating their elephants. Although a couple of our friends have said that they would never ride an elephant again because of the terrible way the handlers treated the elephant they were riding. There are several reputable elephant camps across the Island, where you will be able to trek through rubber plantations or jungle trails. Most of the elephant safaris only go for around 30 minutes to one hour, and a lot of the elephant treks include a buffalo cart ride or whitewater rafting depending on what you choose. If you would like to go elephant trekking while in Phuket contact our friends at Easy Day Thailand. "do you want to go on a tour to the best elephant camp in Phuket"? 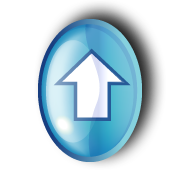 Just remember that the taxi or tuk tuk driver will take you to wherever pays them the best commission.